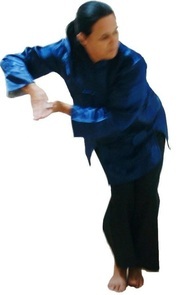 ​Welcome to my Tai Chi and Qigong website, thank you for visiting. ​Join me.. together we can begin a journey into living a life full of energy and wellbeing. 'I love to explore the pleasures, beauty and many health benefits of Qigong and Tai Chi, to share and open the doors to the world of Chinese Internal Arts. whether it is to study, relax, feel less stressed, increase your fitness, train for an event or just to enjoy your practise, have fun and feel happier, we can do it together. lifts your spirit, and soothes your mind, body & emotions. May 2nd or May 23rd due to elections. ​The Tai Chi Ruler, Swimming Dragon and Five Element Balancing Gong. Relax and enjoy the calming nature of these ancient practises. Feel Good! Increase your vitality! 2019 Qigong/Tai Chi Class details. One to One tuition, to suit your requirements and schedule, on request. Please email me on; gloria@gloriadean.com to ask for more information, please don't hesitate, I will be pleased to hear from you, and answer any questions. Golden Rooster Tai Chi and Qigong School.